Weld fasteners, nut/washer assemblies, wheel nuts, locknuts, flange nuts and plugs: your best choice for passenger car and truck assembly applications, powertrains, transmissions and chassis. Extensive line of superior products. 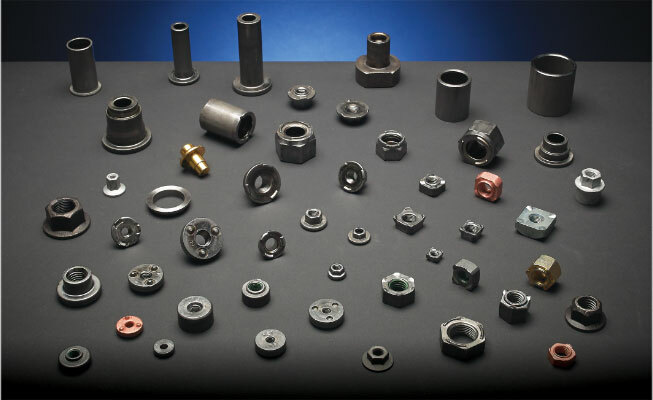 With domestic production and importing capabilities, we offer a wide selection of high-quality fasteners and industrial products, ranging from 1/4"-1 1/4" to M5-M24, to give you maximum performance. Specifications on selected products are available below.